It took me a couple of films before I started to appreciate Suriya but after Pithamagan and Vaaranam Aayirami, I began to understand why so many people raved about him. The lovely Dolce recommended this film in a comment and after watching I am indeed a complete Suriya convert! Although the film is standard masala action fare with a paper-thin storyline, what makes it stand out are excellent performances from the lead actors and good well-rounded characterisations. In particular the scene-stealing Jagan Ayan is a surprise bonus in his role as a friend to Suriya’s character Deva. The story follows a bad guys vs. good guys format although the good guys are smugglers and not exactly on the side of law and order. 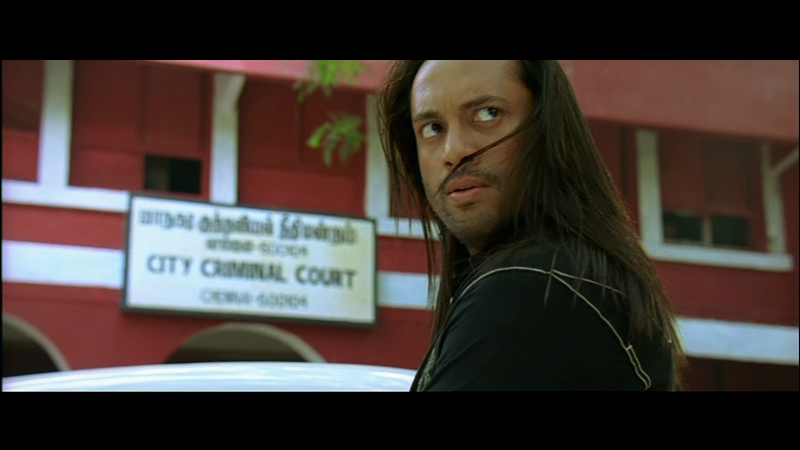 Suriya is Deva, an MSc graduate in computer engineering who works as a smuggler for his deceased father’s friend Dass (Prabhu). Despite his criminal activities, Dass has principles and refuses to smuggle drugs, preferring to deal in pirate DVD’s and diamonds. Now these seem to be at opposite ends of the smuggling scale to me, and I can’t imagine anyone being involved in both, but it’s not the most glaringly hard to swallow plot point, so it’s probably best not to dwell on it. Dass is at the top of his game and apparently ranks as the number one smuggler in Chennai, a fact which does not go down well with his rival Kamalesh (Akashdeep Saigal). Kamalesh is a fairly pathetic villain, who has plenty of ambition but not much else going for him. Rather incongruously for a wannabe tough guy, he has very long hair, which he tosses back at every available opportunity and looks more like an aspiring supermodel than gangster. As far as criminal activities go he’s inept and bungling and, since Kamalesh looks like someone who wouldn’t manage to get an extra bottle of wine through customs let alone diamonds, his attempts to be top smuggler appear to be doomed to failure. 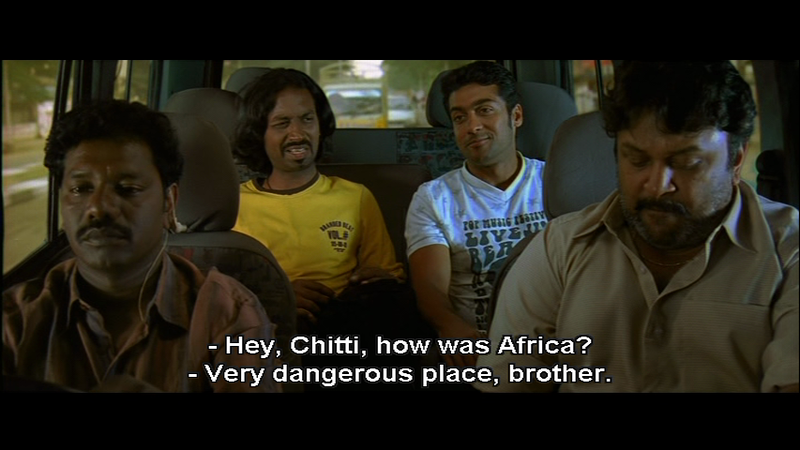 Chitti (Jagan Ayan) turns up as a hopeful member of the gang and after he does Dass a favour, is accepted into the group. He rapidly becomes an indispensable part of the team and Deva’s best friend, and the two have some excellent chemistry together. Jagan Ayan is brilliant as Chitti and I love the way his character is well developed and detailed for a non-hero role. Chitti has many shades of grey and this, along with the fact that his motivation is simply to make more money and enjoy life, makes him a more realistic character than expected from his first appearance. Although Chitti’s character provides most of the comedy in the film, he does have a more serious part to play in the proceedings later and is just as good in the more dramatic moments. There isn’t a separate comedy track thankfully, and all of the comedy is integrated well into the main story. Deva also gets his fair share and this song features a number of ‘disguises’ worn by Deva – many of which are actually characters from his previous films. While I think he disproves the stereotype of heroes in drag and actually makes a passable woman, the long shaggy hair here is a definite no! The other full time member of the group is Dilli (Karunas) who has a minor, but still vital, role to play and acts mainly as a driver for the others. There are a few other gang members who come and go, but the secret of Dass’s success seems to be in keeping his operation small and well hidden behind the front of a garbage disposal company. However in spite of all his precautions, the gang is continually raided by the police and Dass begins to suspect that one of the group is selling them out to Kamalesh. The diamonds storyline means that the action shifts to ‘The Congo’ in Africa although the filming apparently took place in Tanzania and Namibia. It does make a change from various European locations at any rate and director K. V. Anand seems to have involved quite a few locals to good effect. 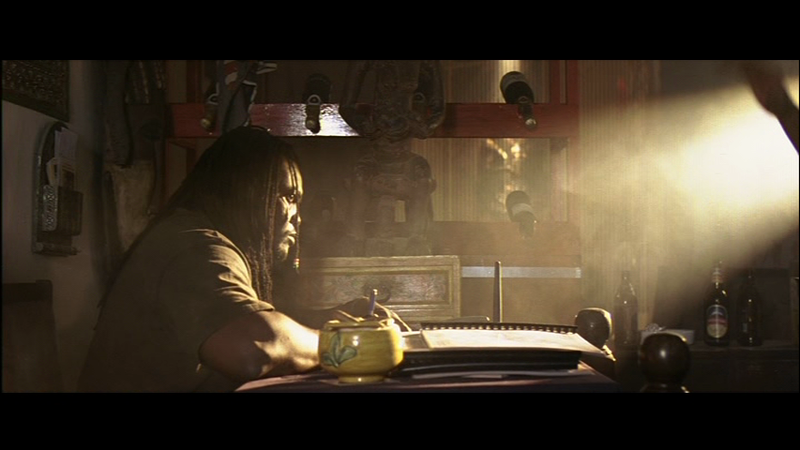 Although all of the film is very well shot, this section in particular features some excellent cinematography from M. S Prabhu. 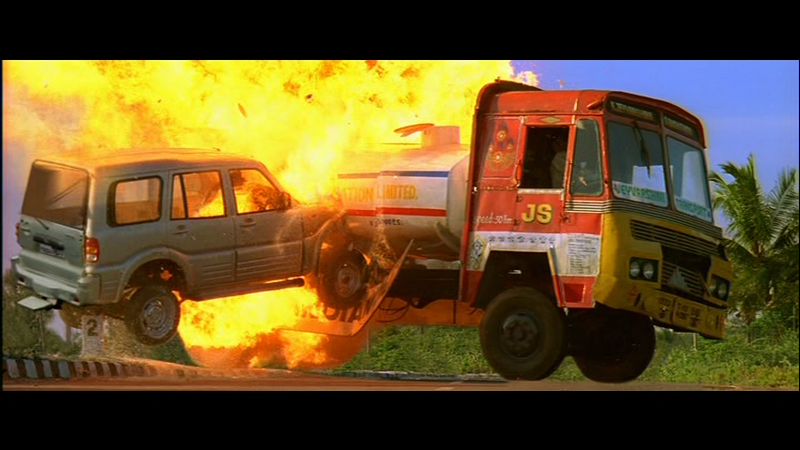 It also includes possibly the best chase sequence I’ve seen in a Tamil film so far. 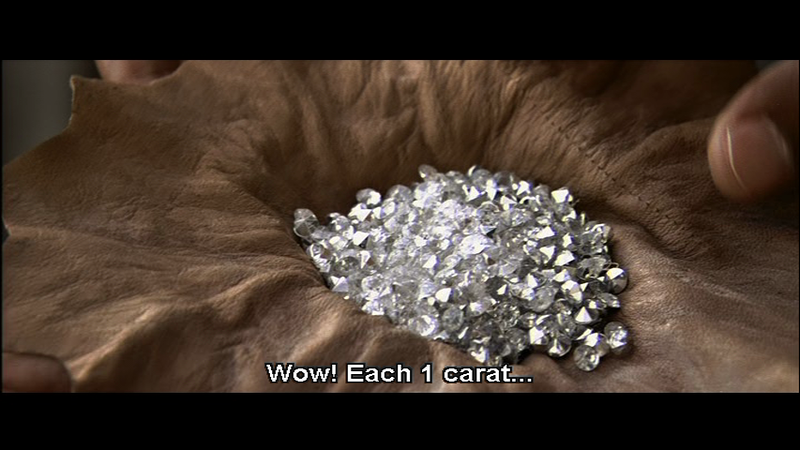 After Deva collects the diamonds via an inexplicably convoluted system of torn banknotes and secret codes, they are stolen from his hotel room. He chases after the thief who has a very large circle of friends available who keep passing the diamonds to each other and keep Deva always just one step behind. The chase has a number of parkour-inspired sequences and is cleverly directed by South African stunt co-ordinator Franz Spilhaus to look fast, slick and very convincing. After all the action, time for some romance. Chitti has a sister, Yamuna (Tamanna) and everyone seems just as baffled as I was that they are actually siblings. They look nothing alike, and the difference is mentioned quite a few times in Yamuna’s introduction. However Yamuna does appear to have rather good taste in men, considering that her room has a number of Shah Rukh Khan pictures on the wall (I approve!) and of course she falls in love with Deva. She’s not a shrinking violet either and is quite happy to pounce on Deva at every available opportunity. And really, who can blame her! The love story is fairly straight forward without any major obstacles although Chitti has some of the best lines as he teases his sister and friend about their relationship. Suriya and Tamanna make a sweet and reasonably credible couple even if they fall in love rather quickly and the romance only makes fleeting appearances in the second half of the film. Tamanna looks beautiful and her character has plenty of personality which she conveys by some excellent facial expressions. I really like Tamanna as an actress and she manages to be more than just the love interest, which is always an achievement in such a very hero-centric film. Just before the interval the traitor in the gang is revealed and once the plot twist is exposed the rest of the film loses most of the suspense and tension and becomes just another action flick. At least until near the end, where everything picks up again until the rather OTT climax fight. The second half does tend to drag in parts and it’s not helped by the rather odd placement of the songs which mostly just disrupt the story. There is one terrible item song with Koena Mitra featuring a noticeable lack of dancing and dreadful lyrics which is used during a scene in a club and could very easily have been replaced with random dancing bodies for a more watchable effect. 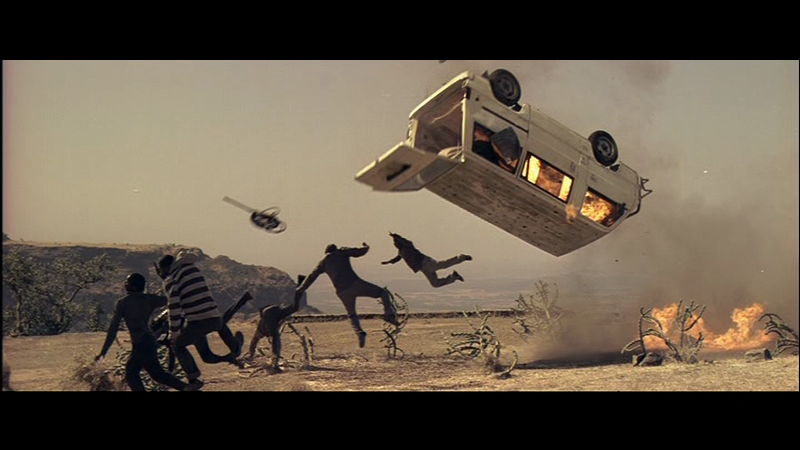 However a rather graphic depiction of the realities and consequences of becoming a drug mule is excellently done, and there are some great car chase sequences and explosions in the second half which almost make up for the meandering plot. The film seems designed mainly to allow Suriya to show off his action hero persona and on that level it works well. He looks fit and capable and perfectly plays the action, romantic and comedy scenes, easily switching between the different moods and illustrating his versatility. The other characters are also well developed with both Chitti and Dass having plenty of input into the storyline and their presence also helps to define Deva’s character. Prabhas is excellent as Dass and injects a surprising amount of dignity into his role as a smuggler. The relationship between Dass and Deva is also nicely portrayed and there is genuine warmth between the characters. Renuka is good as Surya’s mother Kaveri and the other support actors all seem to fit well into their parts. Ponvannan also makes an appearance as Partiban, the harrassed Police officer in charge of customs at Chennai Airport who searches Deva on a fairly regular schedule. It’s really only Akashdeep Saigal who disappoints in both characterisation and dialogue. Despite the unconvincing criminal Kamalesh, I really enjoy watching this film. There is plenty of action, good chemistry between Suriya and Tamanna, (although better between Suriya and Jagan) and the movie looks slick and polished. It just needs a snappier script and tighter story to make better use of the clever twists in the plot. 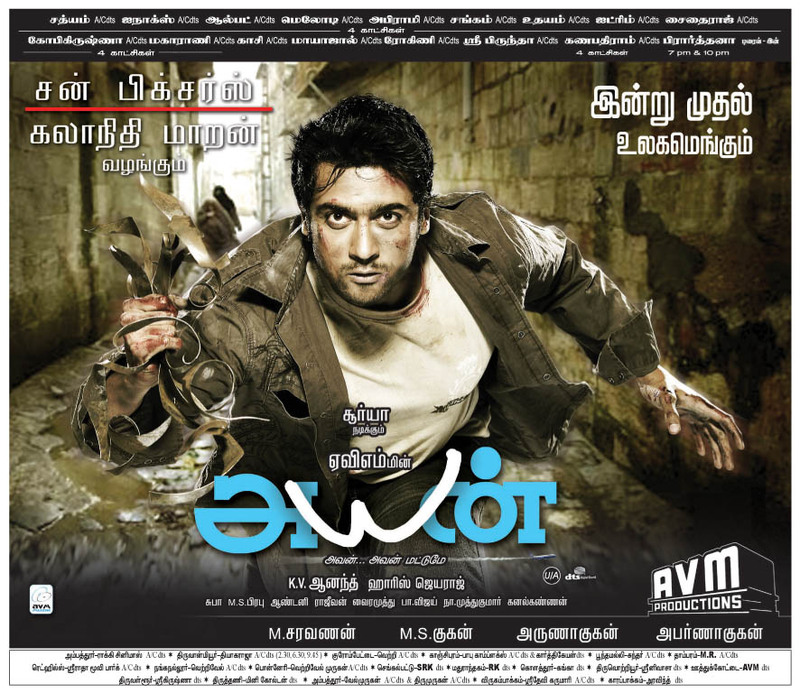 Still well worth a watch if you are a Suriya fan or enjoy a mass action film which keeps the action coming. 3 ½ stars for the action, story and overall film but 5 stars for Suriya! This entry was posted in Kollywood and tagged Akashdeep Saigal, Ayan, Franz Spilhaus, Harris Jayaraj, Jagan Ayan, K.V. Anand, Karunas, Koena Mitra, M.S. Prabhu, Ponvannan, Prabhu, Suriya, Surya, Tamanna, Tamannaah. Bookmark the permalink. A very enjoyable movie…..I loved watching it….I give the movie 4 stars out of 5 for excellent acting by the leads and the supporting actors….also for the songs…I liked all of them…even the Koena Mitra song for the audio rather than the video actually…but I myself have cut 1 star because I found the death of Jagan’s character in the movie too OTT…..but still….I too recommend it…especially for both Surya and non-Surya fans! Thanks for your comment 🙂 Glad to hear you like this movie too! I took away stars for the terrible villain Kamalesh and a few dodgy plot points. Really Deva and Dass could have taken out Kamalesh at any time and not had all the grief, but I do appreciate that would have made for a much shorter film! 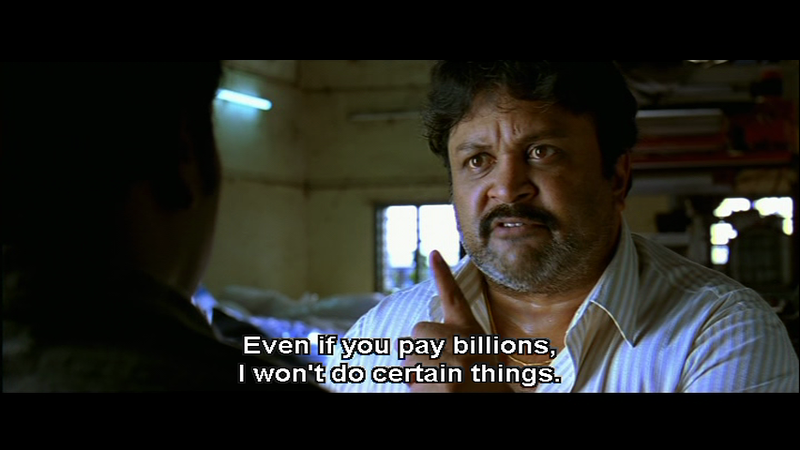 I just love Surya in this – he really gets it right the whole way through. The relationships between Deva and Dass, and then between Deva and Chitti are excellent, but I also really liked the way he interacts with his mother. This was my first K.V. Anand film and it did inspire me to watch his others too – I’m really looking forward to Maatraan! Yay! You finally wrote it up! I love Ayan! And I know I always blabber on and on about Surya in it, but this is the movie where I really started noticing Tamannah as more than just a pretty face. It’s not easy making a mark in a movie where the heroes (because I totally consider Chitti a hero as well) take up so much of the screen space, so she really impressed me in this one. It would be great if directors and screenwriters acknowledged their inspiration, not just in India but in general all over the world! I think that there are a number of inspirations in Ayan from other Hollywood films as well, but as you say that often seems to be the case with many of the films I watch. I still think the various elements in this story have been put together well, but Ko has a more coherent and believable storyline and perhaps borrows a little less from Hollywood. How are you able to draw so much from Indian movies especially Tamil movies? Most Indians don’t understand their movies and they know their languages as they don’t rely on subtitles most of the time. I appreciate/commend yours and Temple Connolly efforts in disseminating balanced views of Indian Cinema to the world, which could not be possible in other mediums than the internet as Indian Cinema is more of acquired taste like seafood. 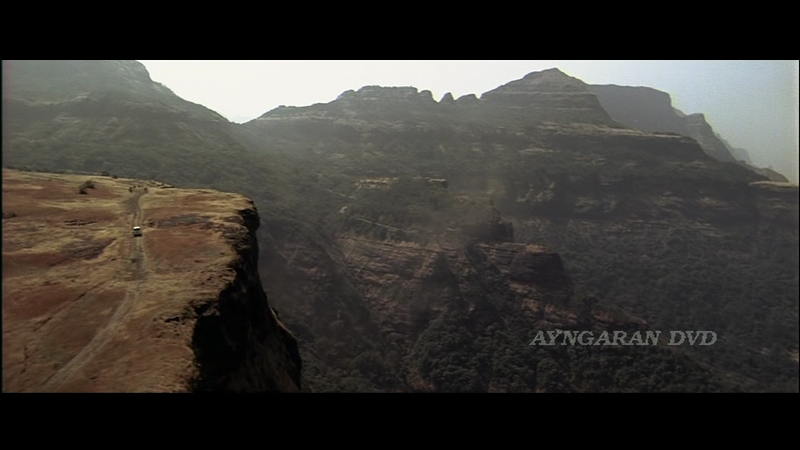 I agree Ayan has obvious Hollywood/European Cinema influences from the truncated copy of the plot from Blood Diamond and French movie District B13 for action sequences (Parkour). Yes Ayan is a groundbreaking movie especially for Tamil Cinema as they have limited budget compared to Bollywood as I recently saw it and was vowed by the production team’s quest for realism in action as well as acting (most Indian actors/actresses overact make dying seem like a hour ritual). At a time Indian cinema is losing its appeal to its own Indian audience because of the likes of Hollywood your site is making it more appealing even for Indians that never understood their own movies in the first place. Honestly if not for your review of Mayakkam Enna I would not have a renewed interest in Indian movies as your site broaden the appeal of Indian movies to me. So thank you and keep up the good work. Maybe it is just that we approach the films from a very different point of view, but I think that often people are too focused on what they thought they were going to see or what they wanted to see rather than what a film was actually about and this colours their opinion. Having no preconceptions about each actor probably helps and since we rely on body language (if there are no subs) or on often inaccurate translations we have to pay attention! It is indeed great to read a non Indian’s review of a Tamil movie. You rock. There are more Tamil movies in the offing! What do you think of Amy Jackson?